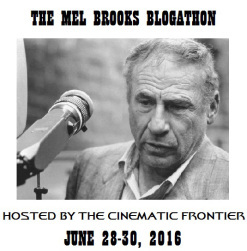 This past Monday was Mel Brooks' 90th birthday and to celebrate, Louis of The Cinematic Frontier is hosting a blogathon on the director. I've seen the more famous of his films but which of them have I decided to cover? You know it's going to be a funny movie when you read some of the production notes. Why? Apparently Brooks and the whole crew had to stuff handkerchiefs in their mouths so as to not ruin takes from laughing. And he added extra scenes to film since everyone enjoyed making it. If one year could be pegged down as one filled with controversy, it would easily be 1971. All in the Family hit the airwaves, the Vietnam War was on its last legs, and the world of film was pushing the limits of what could be shown. With the likes of A Clockwork Orange and Straw Dogs being released that year, moral guardians were up in arms from their graphic content. 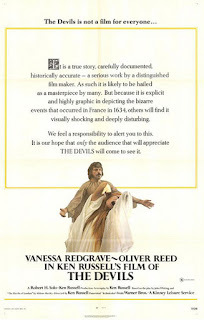 But those two pale in comparison to what Ken Russell had to offer with The Devils. All these years later, the controversy surrounding it hasn't faded. Beneath all of it, however, Russell provides a thoroughly captivating story. 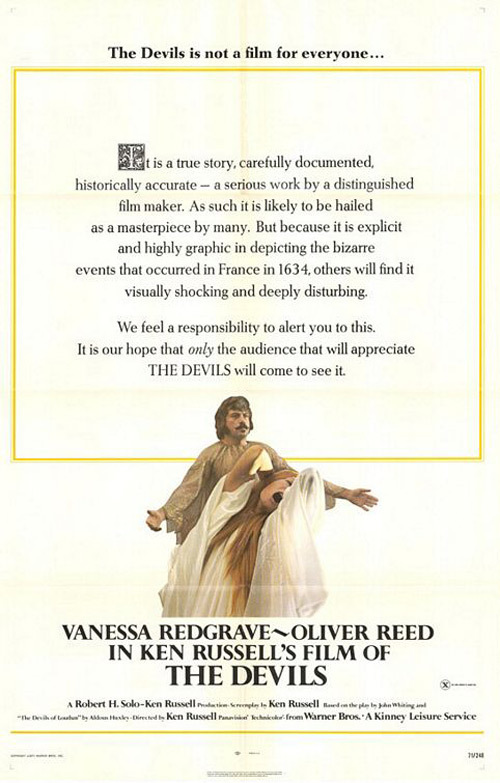 Speaking of details, the production design of The Devils is a dazzling one. (Being designed by Derek Jarman certainly helps.) With this being a film as bleak as it is, what Jarman puts in adds something of a breather. And as is the case with any satire, it needs the right actors to make it work. And Lanthimos ensures just that for The Lobster. As the lead of this ensemble is Colin Farrell, who's definitely been taking liberties at re-inventing his career as of late. Hopefully he'll get more diverse roles like this in the near future. 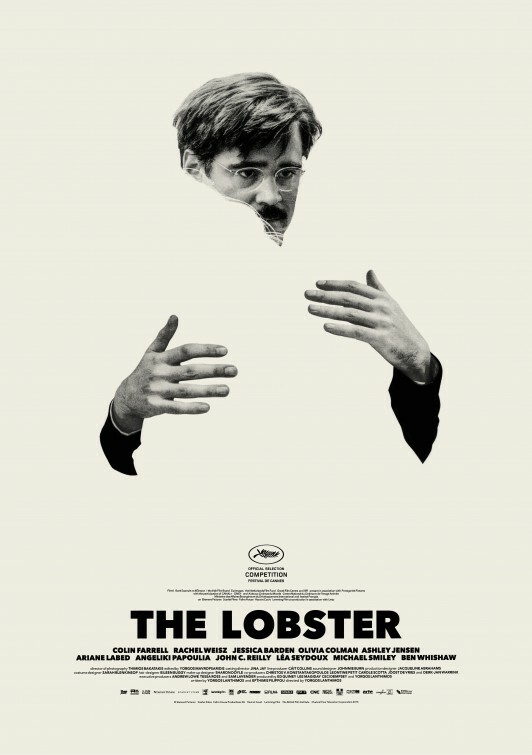 The Lobster has one of the most original concepts of a too often familiar storyline. It depicts the absurdity behind the idea (as told by a cynic) as well as how wonderful a sensation it is (as told by a romantic). Lanthimos most definitely has a strong career ahead of him should his streak of creativity continue its successful run. You know how sometimes the offspring of famous people share similar talents with their parents? The child of an actor might pursue the same roles that made their parent famous. Politics tend to span for more than one generation. And athletes might watch their kids follow their footsteps. One recent example of this involves Rebecca Miller, the daughter of acclaimed playwright Arthur Miller. As her film The Ballad of Jack and Rose showed back in 2005, she was capable of creating dynamic characters like her father. But how well has she fared with her latest film Maggie's Plan? 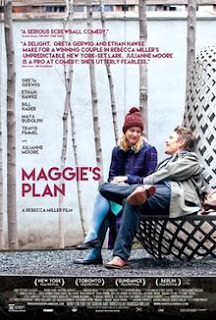 In familiar territory for her (almost to the point of typecasting by now), Maggie's Plan stars Greta Gerwig as a woman who's gaining a sense of direction in her life. Much like her collaborations with Noah Baumbach, Gerwig adds a sense of screwball to her character (thankfully not to "manic pixie dream girl" levels). Though it's probably high time she gets an against type role. Also in Maggie's Plan are Ethan Hawke (who's been on a roll so far this year), Julianne Moore (who should probably invest in a better dialect coach), Bill Hader, Maya Rudolph (who provide comic relief) and Travis Fimmel (who provides an innocent nature). Clearly Miller knew which actors to get. Maggie's Plan is definite proof that Miller is her father's child. With the film's focused writing and multi-layered characters, it shows she learned a trick or two from her playwright father. Hopefully she'll keep up the good work. Jane Austen once wrote in her her novel Persuasion, "I hate to hear you talk about all women as if they were fine ladies instead of rational creatures. None of us want to be in calm waters all our lives." Indeed, Austen wasn't afraid to show the shortcomings of the society she was a part of and that detail is what upholds her legacy today. Yes, many of her works involve romance and the possibility of marriage but there's so much more to Austen's written words. She examines the plights of her era's social norms, how women were expected to be nothing more than dutiful wives and mothers. 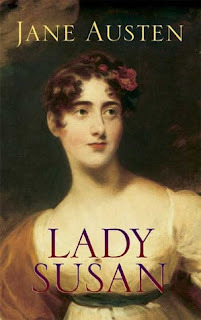 But as her novella Lady Susan shows, not every woman is destined for an untarnished reputation. Told through a series of letters, it revolves around the titular young widow as she tries to arrange engagements for both her and her daughter. And whispers about her behavior start spreading among her friends and family. 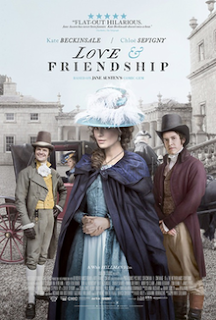 Between Lady Susan and Love & Friendship, both works depict the lead character as more than just the dainty figure fiction often puts them in. But while Austen shines more of a light on society's standards, Stillman focuses more on the people within said society. So which one's better? If there's one thing that can guarantee dysfunction within a family (at least in fiction), it's a wedding. Sometimes the stress behind supposed wedded bliss can bring out the worst in some people. Often for comedic purposes, this plot also works well in drama. And as any film revolving family can attest to, Monsoon Wedding also depicts the secrets the characters hide from others From small things like money woes and affairs to more dire matters like skeleton in the closet. Regardless of the scope of these secrets, they'll try their damnedest to keep them hidden for just a little longer. 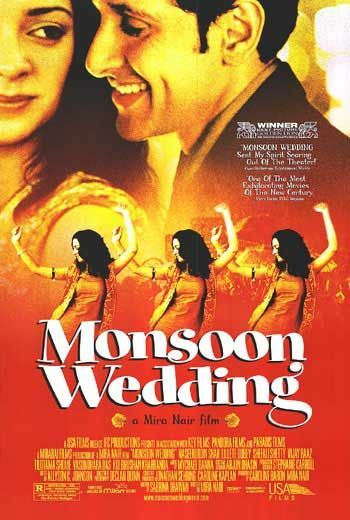 Monsoon Wedding captures the many plights that go into planning a wedding and how it all pays off in the end. Sure it was a given that it would end on a positive note (you can't have heartbreak at a wedding) but no matter. Nair still provides a good story. We've all seen this storyline over and over again: obvious sexual tension from the get-go between the two leads, silly attempts at wooing the other half and after many "hardships", they're together. After a while you can see what'll happen from a mile away. This is why deviation from expected tropes is so crucial. 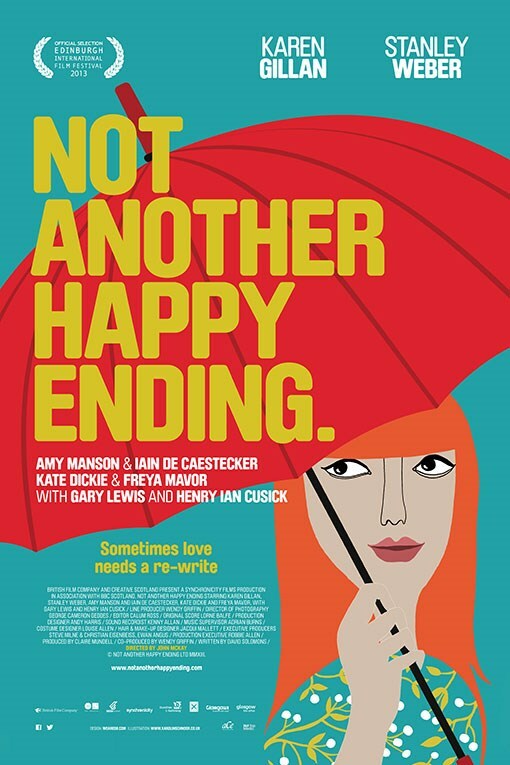 That's not the case in John McKay's Not Another Happy Ending. The first fifteen minutes or so makes it seem like it'll be different from the countless other romantic comedies from years passed. But as it wears on, it becomes quite clears that it's playing "safe" by following the familiar formula. 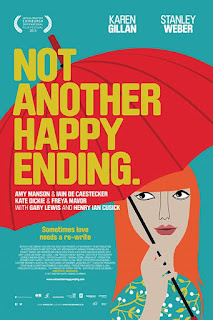 Not Another Happy Ending is one of those "comedies" that excuses creepy actions as nothing more than romantic interest. (For God's sake, haven't we seen enough of this nonsense?) As well as that, there are a lot of elements going on throughout the story that are half-baked at best. One's bond with their family is frequently a tumultuous one. Sometimes they get along with all their family members but one, sometimes the inverse. In short, it's rare to see a consistently healthy family dynamic. Jane Campion's Sweetie is no exception. Focusing on the everyday life of a meek woman, it follows Kay (Karen Colston) as she deals with her insecurities and her mentally unstable sister Dawn (Genevieve Lemon). What is in store for these two women? It isn't made entirely clear what precisely Dawn is inflicted with. Sometimes she displays erratic behavior often found in untreated bipolar disorder. Another scene has her devastated at being abandoned, a symptom of borderline personality disorder. Regardless of diagnosis, it's still interesting to see how Dawn ticks. After three adventure-filled pictures, Warner Bros. decided to put their popular screen couple Errol Flynn and Olivia de Havilland in something lighter. In this instance, a comedy of the romantic screwball variety. Admittedly it's the lesser-known of their eight films but it doesn't warrant it as one that should be completely ignored. Released the same year as The Adventures of Robin Hood, Michael Curtiz's Four's a Crowd has both Flynn and de Havilland in particular delivering their lines at a decidedly more frenzied pace than their earlier collaborations. (An expectation of comedy back then?) It's sort of a shame that neither of them indulged in the genre more often. But Flynn and de Havilland aren't the only stars of Four's a Crowd. Also with them are Rosalind Russell (who would soon do The Women and His Girl Friday) and Patric Knowles (who was in the last two Flynn/de Havilland films). And both of them hold their own, Russell in particular. This must've been an interesting undertaking for Curtiz. Prior to Four's a Crowd, he'd done the likes of gangster pictures and adventure flicks. (He had yet to make Casablanca and Mildred Pierce.) Comedy was something he didn't frequently dabble in (that fact becomes obvious in some scenes) though Curtiz did have luck within a few other scenes. Being the lesser-known of the Flynn/de Havilland collaborations, it's understandable as to why Four's a Crowd isn't as prominent. But that shouldn't deter one from seeking it out. After all, it showed that should his swashbuckling days end abruptly, Flynn could've made a name for himself in a similar vein to Cary Grant. It becomes clear early on in Maggie Greenwald's Songcatcher that this won't be the usual fish out of water story. Set at the turn of the 20th century, it's the kind of film that only comes once in a blue moon. It doesn't need anything on a large scale; it just needs the right people for the jobs at hand. And what a cast Greenwald got for Songcatcher! Starring in the film is Janet McTeer, frequently a welcoming face in the various projects she's in. Here, her Lily Penleric wants to defy the gender norms of her era, a task easier said than done in the eyes of some of her peers. Being a musicologist, Lily's fascinated by the origin of folk songs. And during her trip to the Appalachian Mountains, she discovers many of these songs amongst its people. And what ensues has the frigid Lily warming up to these people and their way of life. 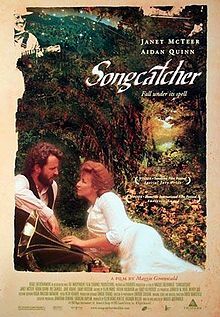 Like what Greenwald did with The Ballad of Little Jo seven years prior, Songcatcher is a depiction of Americana of days passed. She depicts a more simpler time before electricity became the norm but also when feminism wasn't. Oh, how the times have changed. Songcatcher features the key and best qualities of a film. It lets the viewer bask in the same sense f discovery as Lily, an element many films tend to eschew. As is frequently the case with women-directed films, it's an often overlooked title. But hopefully more people will try to seek it out. In 1948, Alfred Hitchcock fictionalized the Leopold-Loeb case in the form of Rope. It displayed the two killers' burning lust for committing the perfect crime, how they openly brag about their deeds afterwards. Fast forward eleven years, and Hollywood decided to re-tell this infamous criminal case. 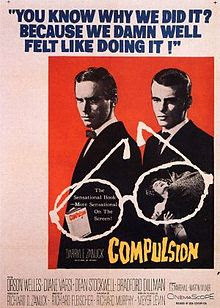 And like Rope, Compulsion has subtext between the two men. (Strictly subtext; it was made during the Production Code era after all.) It's obvious that Artie Strauss (Bradford Dillman) is the one in charge while Judd Steiner (Dean Stockwell) tries to eke out a sense of normalcy. But it's clear early on that these two will be getting themselves in deep water. Compulsion definitely had a hand in marking the end of the Production Code. Not because of its subtext (though it had some part in it) but because of its material. Its violence and its aftermath are never shown but its implications showed that a new era of storytelling was nigh. History and Hollywood make for strange bedfellows, especially during its Golden Age. Many times accuracy takes a back seat for entertainment. It hasn't improved much over the decades but sometimes it has its perks. Anyway, In Old Chicago stars the likes of Tyrone Power, Alice Faye and Don Ameche. (All three would reunite with King the following year for Alexander's Ragtime Band.) As proven by their next film with King, all three elevate the story (Power in particular). Speaking of the story, In Old Chicago chronicles the life of an Irish family trying to survive within the hustle and bustle of the city. 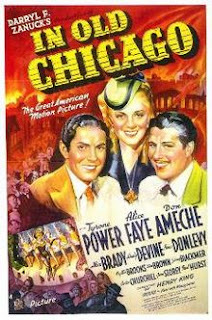 While the matriarch (Alice Brady) makes a honest living, one son (Power) turns to hustling while the other two (Ameche, Tom Brown) pursue more respectable lives. Unsurprisingly, conflict is regular within this tight-knit family. In Old Chicago may have been made in response to San Francisco the previous year but it's easily a work of its own. King, a generally underrated director of Hollywood's Golden Age, depicts of nostalgia for Americana. Truly he's a name that should be held in the same regard as John Ford. As we've learned over the years, movies can provide the best form of temporary escape. Adventure, romance, the things that take us away from the mundane aspects of everyday life. It doesn't require to be of the best quality; what matters is that it entertains its audience. 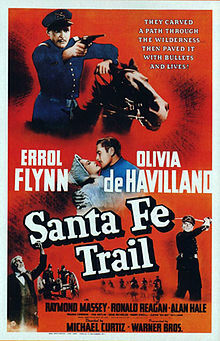 Santa Fe Trail has its moments but overall it's the weaker of Flynn and de Havilland's collaborations. (And least they rebounded the following year.) Still, Massey and Heflin's supporting work makes the most of it. But apart from some of the names attached, there's not a lot to it. Steve over at Movie Movie Blog Blog has brought back his successful blogathon from last year. Last time around, I wrote about The Long, Hot Summer (mainly as an excuse to objectify Paul Newman and his Greek god physique). For this year I again chose a film where I could ogle the leading man without any sense of shame. The film in question? Ah, the post-war era of Hollywood. This was when directors and writers started not giving a damn about the censors. They wanted to see how far they could push the limits of the Production Code. All it needed was that one film to start such a revolution. A number of Martin Scorsese's films tend to have New York City play as crucial a role as any of the characters. Taxi Driver, Mean Streets, Gangs of New York, Bringing Out the Dead...he wants the city he grew up in to be viewed as more than just the home to millions of people; it has a story of its own. 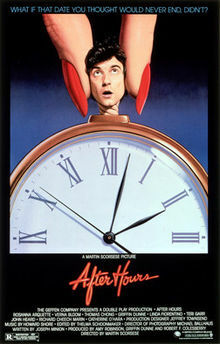 As mentioned earlier, After Hours also brings New York City to life. The many demons and vices of this dirty town come to light when the sun goes down. And as Scorsese's other NYC-set films show, the same can be applied to the characters. After Hours is one of several entries in Scorsese's oeuvre to demonize the city he calls home. From supposed manic pixie dream girls to characters you could only find in a film from the 1980s, it's the kind of film that's a remnant of its time. And like The King of Comedy before it, it could only be made by Scorsese. In stark contrast to her earlier films A New Leaf and The Heartbreak Kid, Elaine May's Mikey and Nicky is noticeably of a more tense nature. From the get-go it displays a more paranoid nature, thanks primarily to our first impression of Nicky (John Cassavetes). That said, there are some telling clues that this is a May film through and through. How so? Much like A New Leaf, Mikey and Nicky maintains a very dark sense of humor. (It's mostly telling with Ned Beatty's character.) Though she's dabbling in a new genre, May wants to make it clear that this is her handiwork. 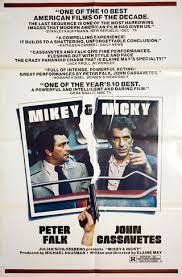 Two years after making A Woman Under the Influence, Cassavetes and Peter Falk reunite for Mikey and Nicky in roles somewhat similar to those in the earlier film. Falk's Mikey is the one responsible for keeping Cassavetes' Nicky of sound mind (easier said than done). It's a Cassavetes film not even directed by Cassavetes. As proven by other titles of 1976, Mikey and Nicky also utilizes its setting as a character in of itself. Similar to Taxi Driver and Rocky, May depicts New York City as its own person. But in comparison to what Martin Scorsese and John G. Avildsen did with their respective films, May depicts the city as deceptive as some of the characters. Mikey and Nicky is perhaps May's best film by a long shot. Yes, A New Leaf and The Heartbreak Kid are good too but there's something more to this one. Hopefully before she shuffles off this mortal coil, May will make another film of this nature. 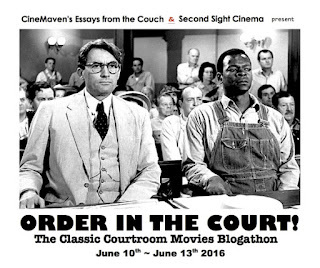 Theresa of CineMaven's Essays from the Couch and Lesley of Second Sight Cinema have teamed up for this examination of courtroom pictures. There have been many over the years from comedies to dramas to thrillers. My film of choice? 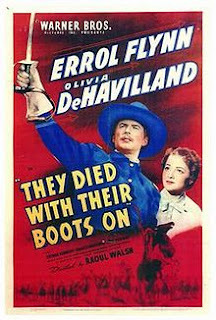 Raoul Walsh's They Died With Their Boots On is somewhat more focused that Michael Curtiz's films starring Errol Flynn and Olivia de Havilland. While Curtiz focused more on spectacle, Walsh was more interested in grit. But even amid the brutish nature of some of his other films, Walsh was capable of depicting poignant moments just as well. With this being their final film together, They Died With Their Boots On almost has Flynn and de Havilland knowing that fact. Did they know while filming their final scenes they were to parted forever on screen? Regardless, it makes several scenes of theirs (the balcony scene in particular) all the more moving. 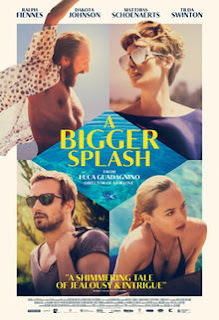 When one first glances at the trailer for Luca Guadagnino's A Bigger Splash, you'd expect it to be nothing more than a hot mess, the kind that's all style and no substance. (Guadagnino's previous film I Am Love has tones of this.) But as the film starts to unfold, it appears there's much more to it than it lets on. That detail could also describe the characters of A Bigger Splash, Penelope (Dakota Johnson) in particular. That's not to say Marianne (Tilda Swinton), Paul (Matthias Schoenaerts) or Harry (Ralph Fiennes) are completely innocent either. They all have their flaws, they all have their stories to tell. It was an interesting idea to have two well-established actors (Swinton and Fiennes) alongside two that are still making themselves known (Schoenaerts and Johnson). It shows the generation gap throughout A Bigger Splash, those who lived in the era of the Rolling Stones alongside those from the era of Nirvana. A Bigger Splash also shows the contrast between old passions and young infatuations, the romances with a previous history and potential futures. Both of these are the kind that are stormy in nature, the ones that seldom quell for long periods of time. As Guadagnino also showed in I Am Love, passion has its consequences in the long run. Though far from being the best film out there, A Bigger Splash will be on the viewer's mind once it's over. It examines the often ugly side of human behavior though not on the same level of greatness as other films of a similar nature. Still, it's worth a look for those curious. 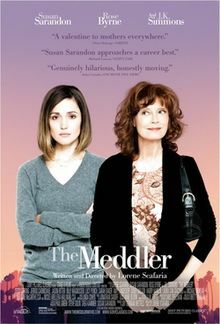 Lorene Scafaria's The Meddler is a sort of tribute to that devotion, the overdue "thank you" mothers have been longing to hear. Though Scafaria doesn't portray Marnie Minervini (Susan Sarandon) as someone without flaws. After all, Marnie's only human. As the title implies, Marnie's daughter Lori (Rose Byrne) regularly sees her mother as a nuisance in her already muddled life. But it's clear that Marnie's just trying to be a good mother. She's not trying to win mother of the year, just Lori's gratitude. The Meddler also shows Marnie living her life in the aftermath of her husband's death. Since Lori is living her own life, Marnie decides to help those she thinks are in need for a little push. It's clear that some of the people she helps don't want to hurt her feelings by saying no but they're still grateful for her charity. Because of Sarandon's performance, The Meddler is a work that'll make you smile a few times. It's an honest film about people and their sensibilities, how they function in the world they're a part of. And if it wasn't clear already, be sure to see this with your mother. If looks could kill, Bette Davis' glare would've had her on trial for murder several times a year. (Same goes for her sharp tongue.) This was a woman who didn't give a damn about what others thought of her. As her epitaph says, she did it the hard way. 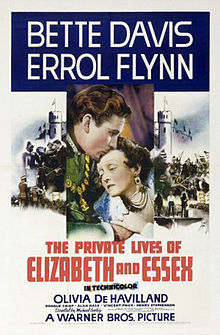 It may have gotten lost amid the many big titles of 1939 but The Private Lives of Elizabeth and Essex does have its merits. From the work of its three stars to the decadent set design, it's one of several sumptuous titles of Curtiz's career. Clearly, that man knew how to do spectacle. The opening credits of Shane Meadows' This Is England establishes both the time period and the general mood of the film. Within its beginning sequence, the film portrays itself as one of rebellion, simmering anger and discontent. But scratch the surface of This Is England, and there's more to it. It depicts those trying to deviate from what society expects of them. After all, this was the 1980s; this was a generation brought up in an era of traditional values, counterculture and Watergate. They wanted to disassociate from the previous generation. This Is England also depicts how easily corruptible youth can be. Shaun (an excellent Thomas Turgoose) falls into a small group of local skinheads led by Woody (Joseph Gilgun, also excellent). But when Combo (a terrifying Stephen Graham) re-enters the picture, things get more violent. 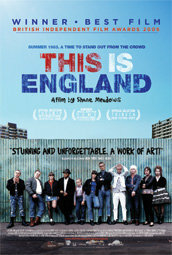 Though its premise makes the film seem more vicious, This Is England has a sense of heart to it as well. Woody's gang provides a sort of family to Shaun. And Combo provides a more toxic example, exposing the already fraying tensions the country is dealing with. After years of playing the dashing swashbuckler (and in an attempt for Warner Bros. to keep up with the times), Errol Flynn soon started starring in westerns. Flynn himself thought he was miscast in the eight westerns he appeared in (he blamed his accent) but moviegoers didn't seem to mind. The first of his octet of westerns was Michael Curtiz's Dodge City and with Flynn alongside regular leading lady Olivia de Havilland, it didn't take much for it to be a hit back in 1939. But how well does it hold up all these decades later? To some, the sight of Flynn in cowboy gear may look silly but bear in mind this was someone who spent half of the previous decade in tights. Anyway, the point isn't about what he wore but how his character presented himself. And his Wade Hatton is definitely of the heroic variety. 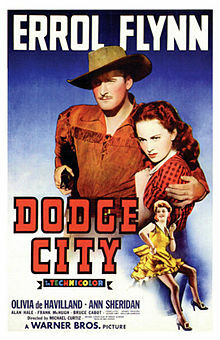 Similar to The Adventures of Robin Hood the previous year, Dodge City is a Technicolor-drenched delight. (It certainly wouldn't have had the same effect had it been shot in black and white.) With the sweeping landscapes and a number of de Havilland's outfits, Sol Polito's cinematography is in full effect. Dodge City may not rank among the great westerns but it's still entertaining. (And not just because of Flynn and de Havilland.) Its sense of adventure gave audiences an escape from the woes of the world. And let's be honest; considering what had yet to happen then, that's a good thing. Busby Berkeley is synonymous with the big, flashy musical. 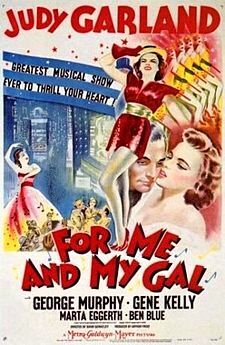 He was the choreographer of such musicals as 42nd Street, Gold Diggers of 1933 and Footlight Parade. (All released in the same year too!) Of course choreography wasn't his lone claim to fame. He also dabbled in directing several times. One such effort was (unsurprisingly) a musical. Though For Me and My Gal isn't what one would expect from Berkeley. It doesn't have the lavish musical numbers usually associated with him but when it's a film starring Judy Garland and Gene Kelly (in his film debut), you know you're in for something good. Released the same year as Yankee Doodle Dandy, For Me and My Gal has a patriotic element to it. With it hitting theaters not long after the United States joined World War II, it was perhaps a deliberate move on MGM's part to boost morale among moviegoers. Still, this detail doesn't date the film too greatly. Like many musicals of the era, For Me and My Gal was an escape for those on the home front. In a time where families worried about their loved ones serving overseas, they needed something to get their minds off what's happening in the world. What better remedy is there than a musical? Though not among the best of Garland or Kelly's careers, For Me and My Gal is still an entertaining entry for them. It showed Hollywood and moviegoers what to expect from this charismatic showman fresh off of Broadway, a potential rival for Fred Astaire. And he would hit his stride in the following decade. Several times during Hollywood's Golden Age, studios would pair up actors frequently based on the strength of their chemistry on screen (and sometimes off). William Powell and Myrna Loy, Spencer Tracy and Katharine Hepburn, Walter Pidgeon and Greer Garson...the list goes on and on. The most famous screen pairing is easily Errol Flynn and Olivia de Havilland. Making eight films together in a span of six years, she was the calm to his storm. And to think their first union was the result of Warner Bros. taking a risk. How so? When they were cast in Michael Curtiz's Captain Blood, neither Flynn nor de Havilland were the big names they would become in the coming years. (Warner Bros. had Robert Donat and Jean Muir originally in mind.) But boy, did that gamble pay off in the long run. As often seen with their later collaborations, he's the dashing rouge while she's the independent-minded (and often only) woman. (Hey, there weren't a lot of opportunities for actresses back then.) The end result's an obvious one if you've seen enough films from the era but that doesn't matter. What matters is its entertainment value. 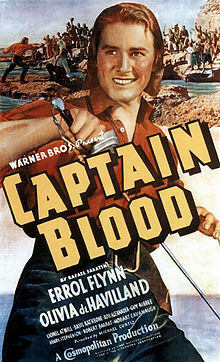 Captain Blood was easily the proof that Hollywood had a new leading man in the form of Flynn. His natural charisma became a selling point almost instantly. And de Havilland's radiant smile was also proof that she'll be a draw to moviegoers for years to come. Thank you, Warner Bros., for being willing to take a shot at them. 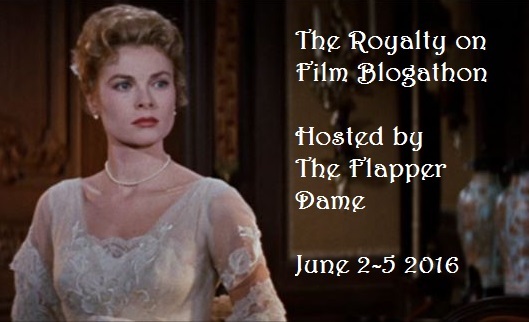 Emily of The Flapper Dame is hosting a blogathon where the subject matter is of the regal society. There have been lots of films (especially in recent years) about both fictional and real-life royalty. I opted for the former. My film of choice? 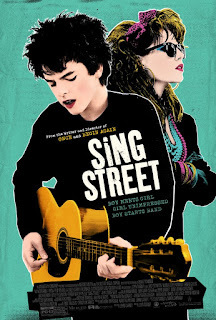 John Carney frequently has music as the main theme (so to speak) in his films, and his latest Sing Street is no exception. (Carney being a musician prior to becoming a director definitely has something to do with that.) Much like his earlier films, there's charm amid the many original songs of Sing Street. Sing Street is an utter delight of a film. You'll find yourself smiling from ear to ear several times throughout, a rarity amongst today's films. It's easily one of those titles that you have to see, preferably more than once. There's always a complicated matter in biopics about some of the greatest minds that ever lived. On the one hand, you want them to be accessible to the masses. But on the other hand, you don't want their achievements to be dumbed down just so the film could be enjoyed more. It's a difficult balance. Some focus more on the genius' personal life (The Theory of Everything) while others alter details of said personal life (A Beautiful Mind, The Imitation Game). So where does Matthew Brown's The Man Who Knew Infinity fall under? Well, it focuses more on the achievements (which is probably a first in God knows how long). The subject of The Man Who Knew Infinity is Srinivasa Ramanujan (played here by Dev Patel), who created and rediscovered many mathematical theorems. Indeed, he's not as well known as the likes of Isaac Newton and Albert Einstein but he should be amongst their ranks. After all, what he discovered nearly a hundred years ago helped us understand the universe more. 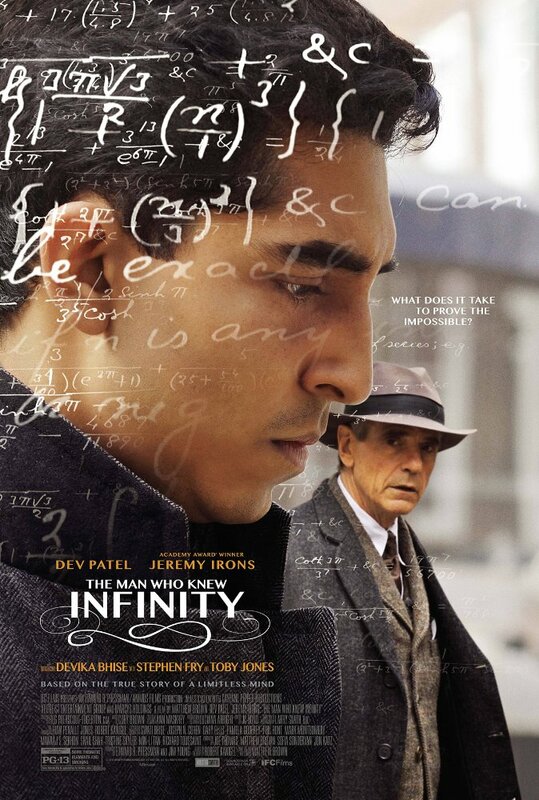 The Man Who Knew Infinity is an average film about an extraordinary person. In more capable hands this probably would've rivaled the other genius biopics out there. Alas, all we can do is imagine what such a project would've been like. Many times we've seen the older man pursue the younger woman (or, on rare occasions, the younger man), a sometimes pitiful attempt for them to feel young again. Sure, it's a familiar formula throughout fiction but why does the inverse so seldom happen? Is it simply Hollywood's so-called fear of showing women as more than just props? Michael Showalter's Hello, My Name Is Doris is a nice example of the latter situation though decidedly of a less serious nature than other fiction of this nature. (Apparently men pursuing women is expected while the reverse is a sign of desperation.) That said, it still works. 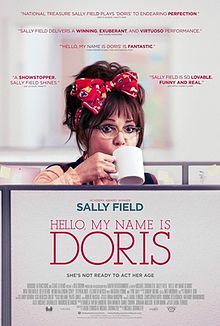 In the title role of Hello, My Name Is Doris is Sally Field, who like many actresses in her age group tends to get the short end of the stick when it comes to roles as of late. (She has two Oscars, for Pete's sake!) But here, she shows that she's always a welcoming presence. Hello, My Name Is Doris also depicts an attempt to live one's life after most of it has already slipped by. There's no real deadline in having your life entirely in order. It's fine if you try new things at different points of your life. All that matters is that you're happy doing them. Aided by a solid performance from Field, Hello, My Name Is Doris is an endearing title. It shows the awkwardness behind casual relationships, a normal aspect found within life. Nobody and nothing in life is perfect or goes as planned. We just have to find a way to make it work for us personally.